Jeff is a 48-year-old commercial airline pilot from New Zealand. Due to his degenerative lower back pain and discomfort while seated for long periods, he was unable to continue the career he loved. He contacted us in 2016 to enquire about a procedure he couldn’t find in New Zealand – Artificial Disc Replacement in the lower back. While we readily assist patients every week via Telephone, Email and Skype, our Australian office was the closest to Jeff, who insisted on one his close friends visiting our offices to meet the team in person. Jeff proceeded with an evaluation of his case by our German Spine Specialists. Total Discectomy and Disc Replacement of L4/5 and L5/S1 via the anterior surgical approach with the M6-L implant. Jeff wasn’t yet ready to proceed with the surgery until he knew he had truly exhausted all conservative treatments. For 3 months he was going to try a final conservative approach, in the form of Spinal Decompression Table therapy with his chiropractor. Jeff’s symptoms persisted, and he was now ready to proceed with the surgery in Germany. His surgeon was Dr. Thomas Bierstedt, and the surgery lasted for approximately 2 hours. After spending 7 days recovering in a private hospital room, the ONZ private drivers took him 45 minutes on the Autobahn to Medicos Aufschalke, where he would spend 2 weeks doing his rehabilitation. Although not medically required, Jeff opted to stay for a second week of intensive rehab, and he sent us many photos of his experience there (which you can see in his movie above). During his rehab, Jeff and his wife spent time with other couples from the USA & Canada, also recovering from motion-preserving surgery. What was wrong with your back and how did it effect your work/lifestyle? My lower lumber discs (2) were degenerated causing pain when sitting or loading the spine for too long. What were your options with your spine surgeon at home? The only option here in New Zealand was a double fusion. What made you choose to go to Germany? The German spine surgeons are experts in the field and have the most experience with complicated cases. What was your experience like with your surgeon Dr. Bierstedt and the rehab centre? My experience at the hospital and at the Rehab centre was first class, I was impressed by the attention to detail and care. What lifestyle can you enjoy now that you’re home and recovered? I am now able to enjoy my outdoor pursuits, work and have a quality of life without pain 6 months post surgery. 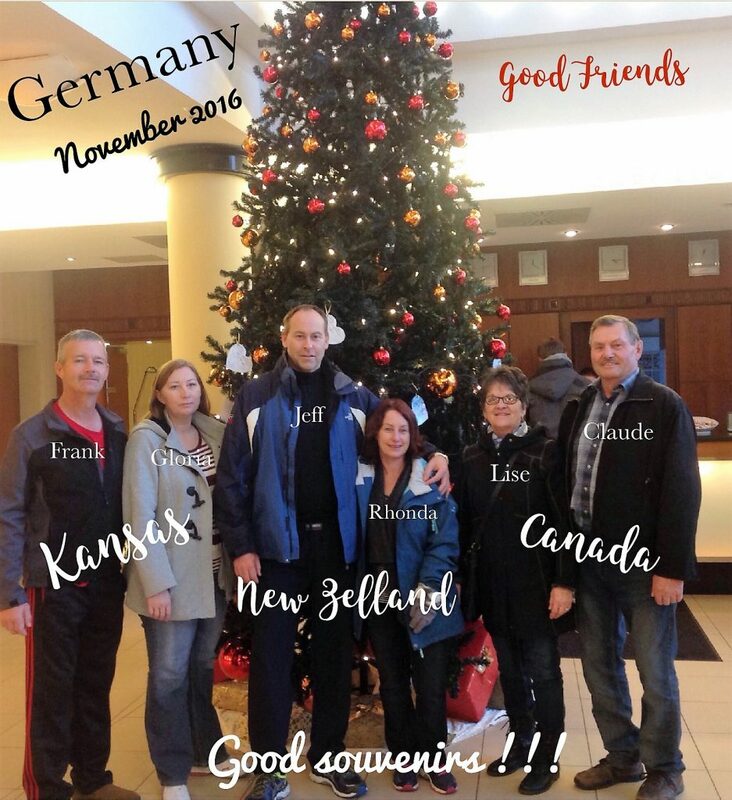 What would you say to anyone considering travelling to Germany for spine surgery? At the very least, get a diagnosis from the ONZ centre, currently the German spine team lead the world. To top this journey off, Jeff passed his medical tests and around 9 months post-op was finally given clearance to return to what he loves most, flying passengers in the sky! Jeff also sent us a copy of the letter he sent his treating specialists in New Zealand, after he had made his choice to proceed with the ADR surgery in Germany. (It’s very thorough so we saved it until here). In May 2011, my right Lumber Facet Joint flared up (a pain or symptom I never had felt prior) and an associated ‘Burning/Stinging pain’ centrally in the Lumber region of my spine, which only seemed to occur when sitting for prolonged periods. My spine pain was unusual, as it would only appear when sitting – once standing or moving around, it would literally disappear. This was very frustrating as my pain would only appear when flying in my capacity of an Airline Pilot, driving or sitting on my sofa at home. He confirmed that due to disc injury in the past, although I made a recovery he thought that as part of the healing process the disc has not been able to reconstitute and has subsequently lost height. The compensating has started and the right L5/S1 (most likely) facet joint has overloaded. Again, my recommendation was to continue to keep fit and take medication to relieve pain. I did this for 4 months, and with no improvement and a second ‘facet joint flare up’ I went back to my Surgeon and he referred me for my first ever MRI. This MRI confirmed the X-ray of 2011 and he commented that ‘the pain will go away with time’ and did not recommend any intervention although he did comment that at L5/S1, “there is nothing left”. 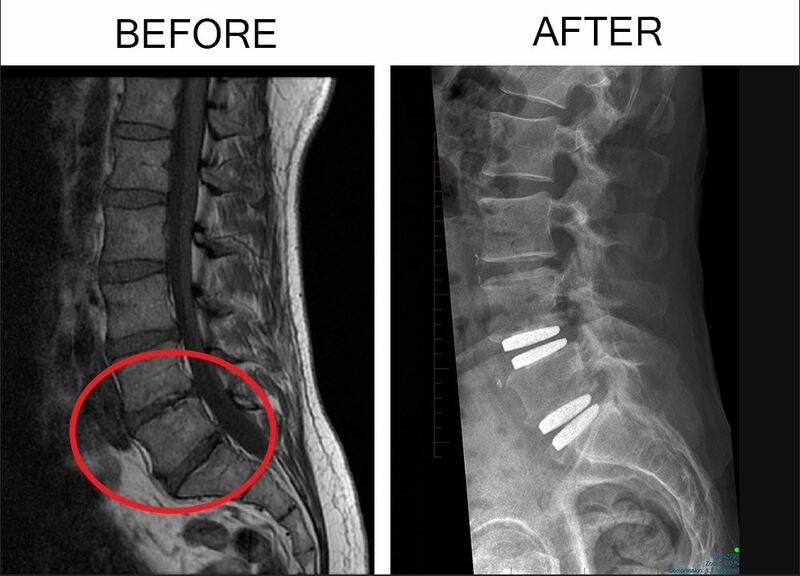 I continued with this condition until late 2012 and returned again to the same Surgeon, asking if there was any other treatment available, as my spine pain continued centrally when sitting. He referred me to two physiotherapists who follow the ‘McKenzie Method’ (back extensions) and thought this might do the trick. He still advised not to operate. I started physiotherapy treatment with both physiotherapists who recommended repeating extension exercises. I continued with this through 2013 all while putting up with the stinging pain in the spine when sitting for prolonged periods. I did have a further acute episode during that year but continued flying while being treated. During late 2013 and through to mid 2014 I had actually believed that there was no alternative and that nothing could be done. I was taking 2 weeks off work here and there following acute pain episodes from that same facet joint. Just after winter 2014 I decided to start learning about my spine, right down to the last atom. You see, I got this feeling that all the treatment I was given was actually making it worse. I now know that I was right – I had been told to do exactly the opposite of what was needed to relieve the pressure off the posterior of the L5/S1 disc. The extensions forced the already close Facet joints closer, causing ‘facet joint syndrome’. Another MRI was ordered and I visited this surgeon for an assessment on the 12th of November 2014. My Neurosurgeon confirmed the origin of the pain is most likely from the lower two discs. He also showed there has been marked disruption in the endplates (responsible for feeding the disc oxygen & nutrition). He offered a Fusion over two levels. I was naturally reluctant to accept a fusion as he indicated the procedure may not take the pain away and the disc above (L3/L4) had an annular tear. I continued to manage with the pain, still intense at times when sitting for extended periods.The lumber roll made it worse, even though many Physiotherapists insisted on using it. Early 2015, I called on Neurosurgeon 2 for a possible 3rd opinion. This person understood my frustration. I visited this Surgeon late February 2015 for an independent 3rd opinion. He correctly diagnosed me as having “Mechanical back pain”. I had made an application through ACC via Neurosurgeon 1 to cover a fusion operation. They declined this based on no one single injury being the cause stating the MRI of 14 October 2014 “unequivocally describes gradual process degenerative disc pathology at 3 levels”. Surgeon 2 agreed with me, that I find myself in a difficult situation as “….his ability to continue in his working capacity at present is compromised by his back pain and the MRI scan changes with end plate changes at L4/L5 and L5/S1 may respond to spinal fusion however there is a substantial chance, perhaps 20% that he is unable to return work following spinal fusion….”. In addition, “….there is a substantial risk that he will develop adjacent segment changes at L3/L4”. Surgeon 2 recommended I be rigorous with non-operative care and do at least a 3 month course of core strengthening. On the 6th of March I stopped work and entered a full time physiotherapy and core strength gym course through my Physiotherapist. This had mixed results but never removed the pain source. I did find it reduced the number of ‘Lateral Shift’ episodes as the core was providing stability in the spine, but later I suffered another lateral shift, possibly a disc bulge causing muscle spasms in the lumber. We continued with core strength but cut out heavy Gym work. The physio agreed the heavy loads were putting pressure on the disc. I always thought at that stage my symptoms of pain and facet overload was always associated with an increased vertical load on the spine. We continued, pain was still present when sitting for prolonged periods but by July 2015 it was not as intense as earlier in the year and I could sit for longer before it developed. In August I suffered yet another ‘facet joint flare up’, same position at L5/S1 on the right with associated intense central pain when sitting. In October 2015 I was ok but cautious. During my first 3 days at work after rehab, I suffered another ‘facet joint flare up’ – same position, same pain, same everything – why? I was fit, had a core like a concrete landing pad, and back muscles the size of giant anacondas! Something was not right – I have either been doing the wrong rehab or I have been misdiagnosed as having mild to moderate disc loss, when the reality is perhaps they are severely degenerated. I stopped work and went to see a pain specialist. All the reports have told me my L5/S1 disc has loss of signal, mild to moderate. So does L4/L5, but this is a natural part of aging so why are mine causing mechanical compensating symptoms? I thought well why don’t I just solve everything and raise the disc height? Does anyone do disc replacement on this planet? Is this possible? I was desperate, so I turned to Google and researched “Artificial Disc Replacement”. I found Spine Connection. They have been sending people from all over the world to Germany. I found out the Germans have been doing disc replacement (motion preserving) procedures for a considerable period of time. I made the call and after a little research realized that the German spine surgeons were way ahead. I immediately ordered another MRI and an X-ray, standing extending and standing flexing. The Surgeons at the ONZ centre in Germany need this to make a diagnosis. After much research about surgery performed in Australia, New Zealand, U.S.A, Asia, and Germany using the M6-L disc by Spinal Kinetics, I thought I should at least get myself a diagnosis to see if I am actually a good candidate for this motion preserving solution. In the meantime, my pain specialist confirmed I have ongoing chronic lower lumber right sided pain. It is exacerbated when sitting for long periods due to increased ‘loading’ on the facet joints. He thought we could try a ‘Facet Joint Block’ to confirm if the pain can be switched off. This is done by burning the nerves around the joint. This was a negative and he confirmed the pain is from the discs and end plates. I continued to work managing on pain killers, fully aware the source of the problem would still cause intermittent pain. The stinging while sitting continued but moved back to where it was in October. I worked for a period of 3 months. The daily commuting was all too much for my lower lumber discs. The stinging/burning became more intense over time. Ever since the facet joint episode in October 2015 I have continued to ‘lock’ and have a need to expand (flex) the rear of the disc to relieve the joint load. I wanted to try another form of non surgical intervention – Decompression therapy. I had read about this and found a Chiropractor who has had success on some patients. I stopped working mid April 2016 and pursued a 6 month course, 3 days a week full time. He confirmed sacroiliac joint dysfunction and facet joint compensation, essentially mechanical dysfunction due loss of disc height. Over the 6 month period I improved tremendously but still continued to suffer pain from facet joint overloading, and again stinging/burning when sitting for prolonged periods. During treatment, I could sit for an hour some days. The discs could handle more time under increased load before transferring into the facet joint. I consulted Surgeon 2 for a further opinion regarding Disc Replacement Surgery in Germany. We discussed the options at length and this surgeon agreed some people have great success from this but cautioned a two level operation. We talked about why it is not done here (politics & money) and mentioned that if I were to do this then I should choose a surgeon that did hundreds. In August I was just about pain free until I spent most of my office duties in a seat during September. During this time, I had another episode which took less time to recover (2 weeks). Until then I was using a stand up desk for my I.T. related duties. My treatment of Decompression Therapy using the Mechanical Bench provided additional benefits to the spine. My Lordosis is now normal and I am more aligned, and less compensating occurs throughout the spine due to continued treatment, however due to lack of L5/S1 disc structure/integrity, this has been and always will be a short term solution. My diagnosis from all specialists, suggest I have mechanical compensating pain all due to the loss of disc height. I agree totally – its cause & effect. I feel I have exhausted all non surgical options. I continue to have pain and compensating symptoms on a daily basis. I could continue without working, change my lifestyle and manage this by continued therapy and limit anything that loads up the discs including long commutes, prolonged sitting or lifting objects. I could have a fusion here – but is recommended not to as I may be in for another one a few years down the track. It might not take the pain away – 80/20 roll of the dice. OR, I could take up the option of Motion Preserving Disc replacement surgery performed by the top Neurosurgeons at the ONZ Centre in Germany. Their report gives me a greater than 95% chance of complete success. I would be to work in 4 to 5 months. I like this last option as it will allow me to return to flying and return to living a normal life. I am looking at this option as it ticks all the boxes including mitigating any future joint disorder. After much consideration I have decided I want to head to Germany and have this performed. Since his full recovery Jeff has generously made himself available to talk with any new patients who’ve been recommended spine surgery in Germany. We have new happy patients returning home every week, and we aim to put new patients in touch with someone around the same age, with a similar lifestyle, who’s already had the same surgery that’s been recommended for them.